Mark Hellendrung, president of Narragansett Beer, shares more details about the brewery's move to the Guild in Pawtucket. Happy National Beer Day! Yes, there is such a thing. By now, you’ve probably heard the good news. After many years and through various obstacles, Narragansett Beer is finally bringing the brewery back to Rhode Island. This week, Narragansett Beer President Mark D, Hellendrung and team moved into their new offices at the Guild, located at 461 Main St. in Pawtucket. The Guild is a 130,000-square-foot craft cooperative that is working with “established mid- to large-sized craft breweries looking to expand their capacity, sales and distribution.” It’s a partner brewery, where, according the website, businesses will brew their own beer in a state-of-the-art facility offering a wide range of brewing and packaging services. 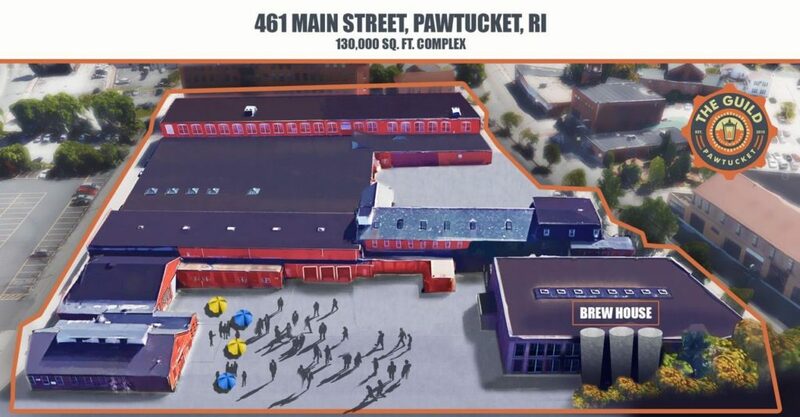 Gansett is currently working on building renovations, equipment has been ordered and is now being fabricated, and the beloved brewery expects to be drinking their beers brewed in the Ocean State (for the first time since 1983) by August. What made you choose the Guild for moving Gansett back home? I have been working with [Guild cofounders] Jeremy [Duffy] and Devin [Kelly] for close to four years on their project and we always had our aspirations to come back home. It was a great way to pull two things together, Gansett’s return, and their concept of a campus with a brewery that also brews other people’s beer. Today’s craft beer world is a lot about collaborations and a community of craft beer, and this is a neat way to pull it all together. What was the building before? It was the W.H. Haskell Company, which manufactured nuts and bolts. I am told, a lot of it was for the ship industry in the 1800s and early 1900s. We moved in, which is awesome. I’m sitting here looking out the window at the brewhouse. Next week, they’ll start working on the floors and redoing windows, and getting ready for the equipment to come in. Then the brewhouse will show up the first week of May. It’s being fabricated in Oregon. After that, some of the fermentation tanks will come in and we’ll start working on the packaging area in the other building. Will all the brewers that work with the Guild use the same equipment, or do you have your own? We’ll all be using the same equipment. There’s one brewhouse and eight fermentation tanks to start, so we’ll have up to eight brewers brewing at a time. We might be in four tanks, and another brewery’s beer in another one, and someone else’s in another one. What do you think about Pawtucket’s influence on the craft beer scene? I am not sure how we all ended up here, individually, but we’re all here and it’s just a great city. Pawtucket is literally the birthplace of the American textile industry so for Pawtucket to be the epicenter of brewing in Rhode Island is pretty cool; between us and Foolproof and Bucket and others. And it also has a great reputation for its water. The city made that massive investment several years in ago in upgrading the water system, which is obviously critical to the brewing process. Now we can have Rhode Island water in our beloved brews… The flagship lager will still be brewed in New York because of the size of the operation, but can you explain the beers that will be brewed in Rhode Island? Three things will come out of here to start. One is our craft styles that are currently out there, like the Allie’s Donuts Double Chocolate Porter and the Autocrat Coffee Milk Stout. We’ll brew that here once we get up and running, and because it’s small batch sizes, we can bring back more specialty items like the Porter, the Fest, the Cream Ale and the Bohemian Pilsner. The third thing that it will really allow us to do is to get creative and innovate a lot more with Sean Larkin and bring other styles to market: new IPAs, stouts, saisons and the whole gamut of beer styles that are out there. So there all kinds of new beers coming down the pipeline that we have yet to experience. Will you continue to capitalize on the Rhode Island-themed brews? 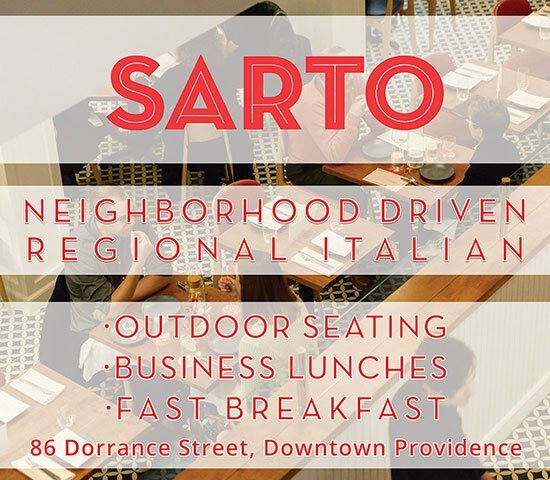 Certainly, Rhode Islanders love their culture, history and icons. How will Sean Larkin’s role continue with the brand? He works with us on recipe development, and that’ll continue. Sean’s got a lot of things going on with his own craft beer brand, Revival Brewing, and he’s running Brutopia, too. What are you planning for the brewhouse in terms of what a visitor might experience when you eventually open to the public? We’re still laying everything out specifically, but directionally, there will be a tour and tasting room. There will be a gift shop and we’ll also bring back the 1890 room, which was the original room where the Gansett Brewery had all its memorabilia, including Curt Gowdy Red Sox ads and Nichols and May animated ads and all those things. We will have closed loop airing of the ads. People will get a good visual presentation of our history, 125 years of Narragansett Beer, Dr. Seuss and all his illustrations. It has such a rich history. To finally have a place to show it all off will be awesome. A rendering of the Guild. Do you have a favorite piece of memorabilia? There is a great old Red Sox [Narragansett] scoreboard. It’s vibrant red, black and white. It’s a cool, antique piece. And of course, the original 1890 sign is the most significant. How will you, Jeremy Duffy and Devin Kelly work together at the Guild? Are you a partner? Can you explain your role and involvement? We’re a partner and part-owner. Jeremy and Devin run this complex which includes the brewery. We’ll have a lot of other things going on here that we haven’t announced yet, so Jeremy and Devin will run that side of things, and we’ll meet in the brewing operations. Do you expect to hire many new positions in the future? We’ll probably have a dozen to start in the brewing operations, and then as we grow and add more breweries here, we’ll certainly add to that. In your letter, you mentioned some of the great stories you’ve heard from people who have either worked for Gansett or have been involved with the brand. Can you share one of the most memorable anecdotes that you remember? It’s hard to pick just one, but people talk about how the Hi Neighbor! bus used to pull up to a bar and pick up thirty guys and head to the Red Sox game. And then during the Blizzard of ’78, the whole state was shut down. Hundreds of people were stuck in the brewery, so the neighborhood would come out and take food to the brewers in exchange for beer. I am sure it was one big party down there. Will you bring back some of that? Can we trade food for beer some day? I am a huge believer in the great barter society. I am going to bake a couple dozen cookies and then come see you, okay? So it sounds like we could be drinking Rhode Island-brewed Gansett craft beers toward the end of the summer?